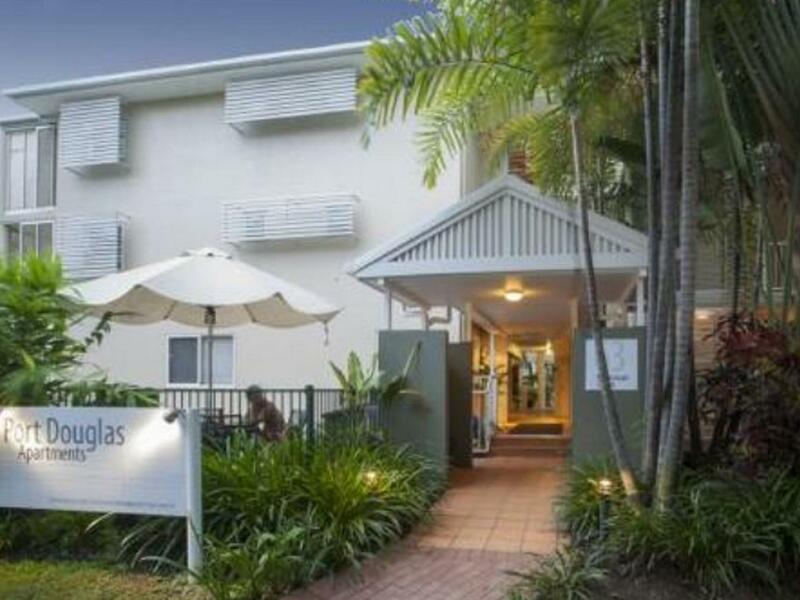 للمسافرين الذين يرغبون أن يعيشو كل ما تقدمه بورت دوجلاس, Port Douglas Apartments هو الخيار الأمثل. يقع الفندق على بعد من مركز المدينة، ويؤمن الوصول إلى أهم مراكز المدينة. سوف يعشق النزلاء موقع هذا الفندق، فهو قريب من أهم المعالم السياحية في المدينة كمثل Funstuff by Lynda, اكوموديشن بور دوجلاس, Studio 49 Artisan Gallery . استمتع بالخدمات الراقية والضيافة التي لا مثيل لها بهذا الفندق في بورت دوجلاس. تتضمن الميزات الرئيسية في هذا الفندق: واي فاي مجاني في جميع الغرف, تخزين الأمتعة, واي فاي في المناطق العامة, صف السيارات, التوصيل من وإلى المطار. في Port Douglas Apartments غرف نوم يزيد عددها عن 17 صممت بذوق وعناية لتوفر لك كل وسائل الراحة . بعضها يحتوي أضاً على تلفزيون بشاشة مسطحة, اتصال لاسلكي بالإنترنت, اتصال لاسلكي بشبكة الإنترنت (مجاني), غرف لغير المدخنين, مكيف هواء. يمكنك طلب اللائحة الكاملة للخدمات في الفندق ومن بينها مسار جولف - ضمن 3 كم, حمام سباحة خارجي, سبا, حديقة. إن Port Douglas Apartments هو مكان مثالي للمسافرين الذين يتطلعون إلى الراحة والاستجمام في بورت دوجلاس. Amazing from the moment I checked in. Great service, great location, and comfortable! Really great enjoyed getting away for the night, surrounded by great dining and heaps of activities to do.
. Friendly staff. Clean quiet location. We had a very quiet and relaxing stay, and had all the amenities required. Staff were very friendly and helpful. Would recommend to anyone. we arrived at the port douglas apartments on christmas day, which we thought could be an issue, but there was an envelope waiting for us at the reception desk with our keys and a welcome note. our room had the ac going and nice music playing which made us feel very welcome. the location of the apartments is perfect - 2 min walk to the beach and right at the end of the main high street where all the restaurants, bars, cafes and shops are located. we had a hire car but you could certainly manage with the bus service. coles supermarket is a 5 min walk away if you are self-catering. the apartments have a pool and bbq area also. Great location 100meters to beach and shops,loved the bed,shower could do with make over. I enjoyed my stay, new owners were very nice, friendly and very helpful.Location was ideal as it was close to everything. The pool area was quite small but everything very clean. The apartment was spacious, bright and clean. I would definately stay there again when I visit Port Douglas. 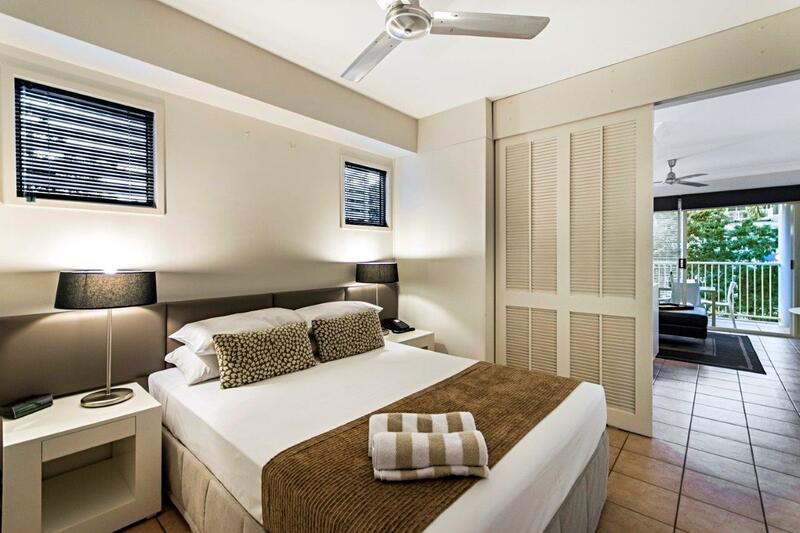 Latitude 16 Port Douglas Apartments are located in the main street in Port Douglas which means they are close to shops and restaurants as well as a 4 minute walk to the beach. The apartments have all you need for cooking if you wish, as well as a BBQ area. There is a swimming pool and a spa if you dont want to swim at the beach. There are also laundry facilities. The Apartments are well maintained and I would stay there again.